How does your co-star rate on romance? 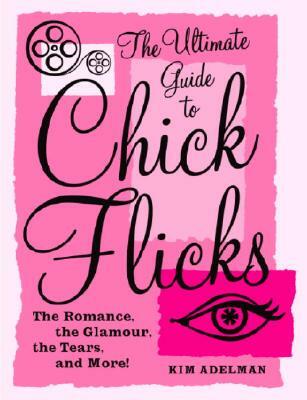 Here’s a big fat clue for men everywhere — women like chick flicks. They make us happy. We get all mushy and soft lipped and prone to romantic suggestions — or, as my husband likes to put it, “easy”– when the girl ends up with the right guy on screen. So why is it that we have to drag men kicking and screaming to go see a chick flick? My friend Kim Adelman, who recently authored The Ultimate Guide to Chick Flicks, theorizes that it starts when they’re teenagers. Then there are real life romances, which of course, are destined to be compared to the movies. Since Kim took the trouble to outline the ten basic steps in a movie romance, I decided to see how they stack up against my real life. I’m a sympathetic heroine, right? I mean I know I get a bit cranky sometimes, but I think I’m pretty likeable. And I wear glasses, which help hide some of my movie star glamour and make me look smarter, and uh, help me see. Like many movie heart throbs, my husband was deeply flawed when we met, and has only improved slightly over the past 16 years. But I’m a glutton for funny — even if it’s sometimes an inappropriate kind of funny — and he still makes me laugh. Plus, I still have faith that he’s a cad truly worthy of redemption. Zak and I met at a wedding, and along with the white lace and promises, there was a whole lot of vodka consumed. Like all romantic heroines, I woke up the next morning still wearing my perfect makeup … and immediately hashed over my hangover with my best friend, Jacqueline. I was sure that this thing with Zak would just be a fling. My sister still thinks it is. This is the tricky part in contemporary romances. Those huge impediments that used to keep people apart — arranged marriages, class issues, religious wars — don’t really exist for the most part, so there have to be some other challenges. Zak and I had geography to battle. He lived in LA and I lived in Santa Barbara. I’d like to see Romeo and Juliet overcome that. We tangoed, we waltzed, we shook our cabooses and we did the Watoosee. While most guys merely tolerate dancing to appease the women in their lives (kind of like going to chick flicks), Zak actually likes to dance and does a good, albeit silly, job of it. Stolen flowers from my landlady’s yard, Pustafix Bubble O’s and poetry for my birthday, battling Friday night LA traffic to come see me, and Monday morning sleepiness to get back to work — these are the things that true romance is made of. “Chick flicks serve up on a beautifully garnished platter another thing we desperately wish real men would do as willingly as their fictional counterparts: say ‘I love you,’ said Kim. Of course movie heroes have the benefit of screenwriters to help them out, but my husband actually is a screenwriter, so you’d think he’d have come up with something incredibly memorable. Zak’s three magic words, which were long overdue by the time he got around to them, turned into about 13, with all of the “um, um, um’s, uh, uh and urghs. In movies it’s usually the wedding scene that symbolizes that the courtship story line has concluded satisfactorily, but those of us who’ve been married for a while know that tying the knot is just the beginning. True love is really all about letting your wife pick the movie. Originally published in South Coast Beacon on March 31, 2005. U.S. Air National Guard photo by SMSgt. David H. Lipp/Released, courtesy Wikipedia Commons. “There’s nothing like the parent co-ops to really educate parents and to support parents,” said Diane Gonzalez, assistant director of San Marcos Parent-Child Workshop, one of four cooperative preschools on the South Coast. All four parent-child workshop programs — Lou Grant, Starr King, the Oaks and San Marcos — are part of Santa Barbara City College’s continuing education program. 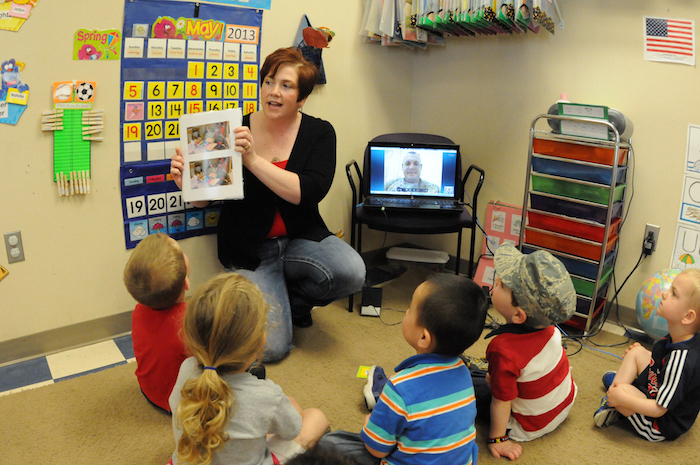 Each serves as a parent education program with a preschool program for 2- to-5 year-olds as a laboratory. Costs are low — ranging from about $25 to $125 a month, depending on the school and how many days a week a child attends — but parental participation requirements are high. Parents must participate in the workshops at least one day a week and attend a weekly evening class in child growth and development and parenting skills. 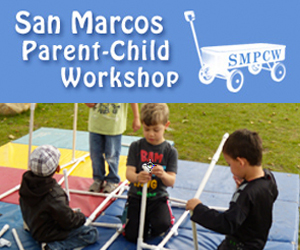 “It’s not the kind of program that meets everybody’s needs,” said Bea Hamlin, director of the San Marcos Parent-Child Workshop, and a former co-op parent. But for the families that can make it work, co-ops provide great parent education, as well as the foundation for many lifelong friendships. “We’re really a family here,” said Gonzalez. “We work together and then we fund raise and we eat together. San Marcos High student nurses were still beaming from their recent trip to Boston for the National Youth Leadership Forum on Nursing. There they had the chance to meet like-minded students from all over the country, job-shadow nurses at several Boston hospitals, and hear from medical experts about the different aspects of a nursing career. “It was … a once-in-a-lifetime opportunity,” said senior Katie Coy, who has been accepted to the nursing program at Azusa Pacific University. “Fun,” “educational,” “awesome” and “even better than expected” were some of the reviews given by the six seniors who attended the conference. All of them are third-year students in the school’s Health Academy, now enrolled in the C.N.A. (Certified Nursing Assistant program) class in cooperation with Santa Barbara City College. Gloria M. Ochoa observed the electrophysiology lab, Brenda Rubio worked in a transplant unit, and Coy and Rachel Myers got to experience the cardiac unit. Courtney Giers learned how to draw blood and Maria Gutierrez even got to see a baby being born. All of the girls left their experience even more convinced that they want to be nurses. The girls will soon get to experience that nursing camaraderie again. After completing internships at Samarkand, in April they will start new internships, at Santa Barbara Cottage Hospital. Doherty noted that several students who went through the San Marcos program three years ago are now student nurses at the hospital and studying at SBCC. In addition to their trip, the students said meeting other teens made them realize how unique the San Marcos program is. “I didn’t hear of anything like the Health Academy,” Giers said. Originally published in South Coast Beacon on March 24, 2005. The opportunity to win a share of $20,000 in scholarships and prizes was a temptation. And the fact there was no talent competition or requirement to strut in a swimsuit made it much more palatable for 19-year-old Santa Barbara City College student Melinda Radsliff to participate in the 2005 Miss Teen Santa Barbara pageant competition on March 13. Radsliff first learned of the pageant when she got a letter in the mail that someone had referred her. She figured it was worth checking out the orientation. “I filled out an application, kind of as a whim,” said Radsliff, who then learned she had been accepted and that the pageant would provide a training class, which is unusual. “They kind of went through what day was going to be like,” she said. The ages of the contestants range from 10 to 19, with Radsliff competing in the Miss Teen Division. “The girls all seemed really excited about it,” said Radsliff, who was active in the city of Santa Barbara’s Youth Council and ADAP (Alcohol and Drug Abuse Prevention Coalition) while attending La Cuesta Continuation High School and her first year of SBCC. Since she got too old for those activities, she has joined the women’s auxiliary group at her church and is considering applying for SBCC’s student senate. In order to qualify for the pageant, Radsliff participated in an interview session conducted by Patty Neidert, Santa Barbara pageant coordinator. While there are casual wear and formal wear modeling competitions, personality and interviewing skills are weighted heavily, which was attractive to Radsliff. “Personality is the number one aspect that each contestant is judged on during all phases of competition,” she said. 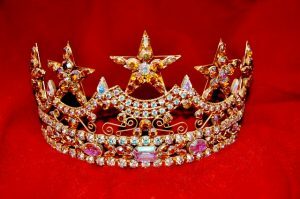 The pageant winner will become Miss Teen Santa Barbara, and will represent Santa Barbara and the surrounding communities at the Cities Of America National Competition in Orlando, Fla. More than $60,000 in prizes and awards will be presented at the national competition while each winner enjoys an expense-paid trip of five nights and six days in Orlando. Montecito Landscape sponsored Radsliff’s pageant expenses. Photo courtesy Cinders in the Dark on Vimeo. Last week I finally got the answer to the age-old mystery pondered by mothers everywhere: My son has been potty-trained for three years, when do I finally get to use the bathroom by myself? The answer: When you go on a trip without him. Last week I tagged along with my friend Cheryl Crabtree, a travel writer (and mom of two boys) who was updating the Central Coast section for Fodor’s Travel Guides. I was ostensibly working on a few travel stories for the Beacon, but mostly I was enjoying having someone else cook my meals (in restaurants with cloth napkins and no kids menus), make my bed (with 600 thread count Egyptian cotton sheets) and drive me around (OK, so Cheryl’s Camry is only slightly more glamorous than my Tercel, but at least she was behind the wheel). Most of all, I was luxuriating in my personal bathroom space. Guilty thoughts flitted by as I lay soaking in a lavender-scented spa tub at the Ventana Inn & Spa in Big Sur, which is surely one of the most beautiful places on the planet. I took a sip of my wine and a bite of a perfect strawberry, and watched the stars twinkle over the Pacific Ocean and thought: Here I am, starring in one of the most romantic scenes of my entire life, and my husband is hundreds of miles away, probably eating a Big Mac. I should feel guilty he’s not here to enjoy this. No really, I should. Guilty. Wracked with it. Hmm. But what were the odds of my husband being able to relax and enjoy an $800 hotel room? Even though it was free, I knew he’d be stressing out about Koss breaking something. And if our son weren’t with us, we’d both be stressing out about whether he was okay without us. All in all I’m much better equipped to enjoy this luxurious bathtub all by myself, I rationalized. He doesn’t even like massages, the rubber-boned freak. This would be wasted on him. Really, I’m doing him a favor. Oh! Does that strawberry have chocolate on it! After my bath I tried out the Jacuzzi on my own private patio. Again, it was heaven. Once upon another life, I had a Jacuzzi in my backyard, but it was hard to keep the leaves out, and with the ambient lights of the city, I could never see stars like the ones in Big Sur. I spotted the Big Dipper, and thought about how excited Koss would be to see it. Santa brought him a telescope, but it’s hard to see stars from our backyard when it’s raining all the time. Cheryl and I worked hard the next day, and I was exhausted when we finally arrived at the brand new Carlton Hotel, in downtown Atascadero of all places. When you walk in the door you feel like you’re in a first class Boston hotel, or maybe Washington, D.C. Very posiphisticated. I couldn’t wait to take a bath. At home, not a week goes by when I don’t come home from work, kick off my shoes and fantasize about a long, hot bath. We barely have a shower in our teeny tiny rental house, and besides, I can’t even get through the first chorus of “Walking on Sunshine” without Koss having something incredibly important to tell me about his Pokemon cards. The Carlton has another incredible, oversized spa tub. Between that and the chocolate strawberries, I was in heaven. “This is the life,” Cheryl and I sigh, as we clink wine glasses and relax, uninterrupted by our real lives. If I could just freeze time for that first hour of the day when I get home from work, I thought, not for the first time. Just to have an hour a day all to myself, preferably in a spa tub with my masseuse, Juan, no Brad. That would be perfect. It’s not that I don’t love my son … and I really love that he still wants to be with me all of the time. But who knew when we finally potty-trained him that wouldn’t be the end of it. We’ve been working on privacy training ever since. My third spa tub — at the Avila Village Inn in Avila Beach — was also heavenly, but the novelty was starting to wear thin. It was awfully quiet in my hotel room, and it sounded like I missed a really fun “attack of the Leprechauns” on Koss’s kindergarten classroom. It’s hard for me to believe that for all the times I’d craved this peace and quiet and solitude, it only took a few days for me to crave the chaos of home and family. I laughed at what a wimp I’d turned into! Then I thought about what a kick Koss would get out of the fireplace that goes on with just a flick of a switch and how much fun he would have ordering room service. I call him one more time, just to say goodnight. I vow to remember his sweet little voice on the phone, the next time he bursts into my shower, seemingly just to annoy me. Gang activity is increasing on Santa Barbara’s streets. Arrests are up 51 percent, from a total of 189 in 2002, to 369 gang-related arrests in 2004, a Santa Barbara police official told the Santa Barbara school board Feb. 8. “The good news is that when it comes to schools, we have seen very few isolated incidents during this past year,” said police Sgt. Ralph Molina, attributing that to the strong relationship between schools and police. According to Molina, one of the reasons for the increased activity is that older gang members who were incarcerated are now back on the streets. “They begin to go out and recruit and their numbers begin to increase,” he said. Molina estimated that there are 3,000 gang members in Santa Barbara County, with approximately 1,000 of them in Santa Barbara, Goleta and the unincorporated area in between. He estimated there were about 600 gang members in Santa Barbara alone, with 40 percent of them under the age of 18 and about half of that group in junior high. Board members requested the presentation after a recent expulsion of a student involved with gangs. “My experience is that about 90 percent of these kids that are gang members, are pretty good kids,” said Molina, who has worked in the gang unit for the past 13 years. Molina said he is also seeing a connection between gangs and drugs. Molina said he is also seeing a lot of large gang fights, especially among younger members. As a result of the increased activity, in January 2004 Santa Barbara police brought back the youth services unit and increased the enforcement level, which may explain some of the increase in number of arrests, Molina said. He added that he would like to see the school district reinstitute a program in which officers taught classes on gang violence. Funding for the program dried up a few years ago. When asked by board member Nancy Harter whether there was a correlation between loss of funding for these types of programs and increased gang activity, Molina said he wasn’t sure. Originally published in South Coast Beacon on March 17, 2005. I was nine years old, and that was my first conversation with Sherry Thompson. I had just transferred to Harding School, and she was the librarian. She led me over to the card catalog (for you kids in the audience, like Yu-Gi-Oh cards, only with less information on attack points, and more information on how to find a book) and showed me how it worked. Not only did I learn about the CIA, the FBI and British Intelligence that day, I finally solved the mystery of who that Sarah Bernhardt lady was that my grandma was always comparing me to. All of those cliches about libraries opening doors came true in that magical place. I was hooked. It wasn’t about falling in love with reading; I had caught that bug years before. My mom was a teacher, for heaven’s sake, I certainly didn’t need a librarian to encourage me to read. But Mrs. Thompson introduced me to research, and I dove right in with vigor, the beginning of a new life-long love. Learning how to find information, to answer questions all by myself, gave me such a sense of sovereignty over my world. Learning to explore the world of information was just as important to me as learning how to flirt with boys or learning how to swim. I felt like I had harnessed the powers of Wonder Woman, Nancy Drew and Batgirl (a librarian in disguise). I could solve just about any mystery in the world by wielding my magical powers over the Dewey decimal system. What could be better than that? Mrs. Thompson became my concierge into the world of information, instilling in me the eternal joys of a motivated mind. She was always encouraging me to try to find out the answers by myself, but keeping an eye on my progress –and always right there when I needed help. For me she was the perfect kind of teacher. I thought a lot about her last week when I watched the school board vote to reassign all the librarians to classrooms and let the clerks take over. All of those mental doors she helped me open that probably would have remained closed without her. Sure, a clerk could have found me a book on the CIA, or an encyclopedia entry about the FBI, but I doubt they would have shown me how to find it myself. And I certainly doubt they would have noticed my preference for fiction and promised me a lunch at the Yacht Club if I could read every biography in the school library. To this day, that was still the best burger I’ve ever had. Mrs. Thompson was the first person I ever knew that died. I was 13 and knew enough to do some research about cancer, thanks to her. “Don’t worry. I’ll still be looking out for you,” she told me. I didn’t believe her then, but now I do. And I know what she thought about that school board meeting. Yes, the public schools are in a budget crisis, but asking a school, “an institution of learning,” to do without a trained librarian seems absurd to me, like asking someone whether they’d rather have an arm cut off or a leg. Cutting off our kids from such an important resource seems just as horrendous, especially in a place like Santa Barbara, where the measly $250,000 it will save the school district next year wouldn’t even buy a driveway for a tract house on the Mesa. American Libraries columnist Will Manley calculated almost a decade ago that if librarians were paid at market rates, they would have annual salaries well over $200,000. For those of you who refuse to pay retail, this is the bargain of a lifetime. Surely this community can come up with a way to save the library program. Reassignment notices have already gone out to the librarians, so now’s the time to sink or swim. “In the nonstop Tsunami of global information, librarians provide us with floaties and teach us how to swim,” wrote Linton Weeks in the Washington Post. Doesn’t every kid in Santa Barbara deserve to learn to swim? Santa Barbara’s own Center for the Study of the Environment was recently appointed by the U.S. Department of State to serve on the United States National Commission for the United Nations Educational, Scientific, and Cultural Organization (UNESCO). The United States re-entered UNESCO just last October, and will hold its first annual conference in Washington, D.C. June 6 and 7, where CSE will join a prestigious group which includes the American Association for the Advancement of Science, the National Academy of Sciences, the National Academy of Engineering, The American Geological Institute, The American Physical Society, National Geographic Society, and the Woods Hole Oceanographic Institute. Professor Emeritus from UCSB and the former Chair of the University’s Environmental Studies Program, Daniel B. Botkin founded CSE in Santa Barbara in 1991 as a non-profit organization to conduct objective, independent, scientific analyses of complex environmental issues. “The idea was to set up an organization independent of the other institutions, really to be able to provide good scientific and educational data around the environment, to really give the best possible information free of any particular bias … trying to make it as scientifically independent as possible,” said CSE vice president Mark Marzolla. The mission of CSE is to “serve all facets of society by providing science-based analysis that identify optimal solutions for environmental concerns.” The objective is to generate options that address the problems at hand without subordinating information or evaluation to the bias of various political viewpoints. Originally published in South Coast Beacon on March 10, 2005. “People who grieve the death of a loved one are going to grieve it wherever they are,” said Hospice of Santa Barbara executive director Gail Rink, adding, and that includes the workplace. Educating local businesses about how to deal with grief in the workplace and the free services Hospice provides was the subject of a Feb. 24 luncheon. When a coworker suffers a loss, feelings and symptoms of grief can take weeks, months and even years to manifest. “We have triggers in grief that come out of the blue — we can’t control them,” said Joanne Talbot, director of counseling services for Hospice. There are still ripples in the workplace from the 2002 drowning death of 14-year-old Katie Janeway at Los Banos pool, said acting Santa Barbara Parks & Recreation Director Nancy Rapp. She said she saw a lot of different reactions. “We had staff who were in denial, we had people who absolutely couldn’t function at all, and everything in between,” said Rapp, who brought in Hospice counselors as part of the response team. They were flexible and provided bilingual counseling when needed, and it was all free, she said. When one of the counselors in the Department of Rehabilitation died suddenly, Kathy Humphries also brought in Hospice to help. The staff not only had to deal with their own grief, they also had to deal with reactions from that counselor’s clients. “Joanne came in to talk to people about their memories of those people,” said Humphries. After the death of a coworker, employees can be distracted by emotions that range from confusion to chaotic pain, from dismay to devastation. Hospice advises that organizing an employee support group can provide an avenue for staff to discuss their feelings openly and address ways to deal with grief as a cohesive group. When a coworker is grieving the death of a loved one, that grief will inevitably be brought into the workplace. Employers should be aware that returning to the workplace can be overwhelming and employees may be tempted to quit for fear of failure or to reduce the pressure on them. Hospice advises employers concerned about the loss of productivity to also consider the alternative cost of replacing an otherwise well-trained employee. Coworkers are told to listen but know they can’t resolve the grief, ask if they can help out, include the grieving person in work projects, ask occasionally about deceased, and alert a supervisor if they seem to be getting worse. For more information about the free services available from Hospice of Santa Barbara, call 563.8820 or visit www.hospiceofsantabarbara.org. Hidden grief costs U.S. companies more than $75 billion annually, according to the Grief Recovery Institute. Approximately 30 days of work is lost for each employee grieving the death of a loved one. A simple word means a great deal when a person suffers a loss. Saying the “wrong” thing hurts less than saying nothing at all. “I know how you feel.” Each person’s loss is unique. Originally published in South Coast Beacon on March 3, 2005.